US major media lie and deceive on all major issues, notably geopolitical ones, serving as US imperial press agents - suppressing truth and full disclosure repeatly. 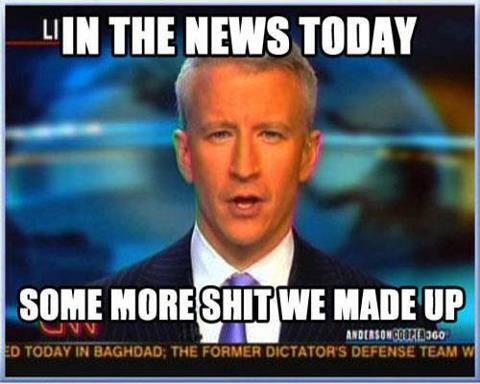 Anti-government propaganda reports proliferate daily. Al Jazeera pretends that Guaido acted on his own, declaring himself interim president on January 23 - after which Trump, Pence and other regime officials recognized him. He's a Manchurian candidate, left unexplained in all major media reports, groomed for years by the US to serve as a convenient puppet, a front man on the ground in Venezuela, a political nobody elevated to prominence by the power of propaganda. Opposing democratic governance, he's guilty of sedition and/or treason for assuming his anti-government role, complicit with Trump regime's coup plotters, the highest of high political crimes. "The United States, the European Union and many other countries call (Maduro's) presidency illegitimate and have attempted to oust (him), recognizing opposition leader Juan Guaido as the country's rightful leader." There's nothing "rightful" about plotting to oust a democratically elected and reelected president, nothing "illegitimate" about Maduro, nothing legitimate about Guaido's betrayal of his country and people. Because of its global reach, the Times is the leading anti-Bolivarian media propagandist, a role it's played countless times before - notably supporting all US, NATO, Israeli wars of aggression, instead of responsibly denouncing them. In Thursday and Friday reports, the neocon/CIA house organ Washington Post falsely claimed Venezuela is "on the verge of collapse." It lied claiming farmers can't "find seeds and fertilizer." It lied suggesting things are "critical." It lied saying days of blackout indicated "the crumbling of Venezuela's infrastructure" - ignoring the US cyberattack on the country's electrical grid. It lied claiming "humanitarian crisis" conditions exist. It failed to explain that arrested figure Roberto Marrero is a Guaido stooge, a henchman complicit in the Trump regime's coup plot. It lied saying his detention signals "an important and potentially dangerous shift toward more-aggressive tactics." It's all about enforcing the rule of law WaPo opposes if interferes in achieving US objectives. The broadsheet lied claiming Maduro's government arrested and "detained dozens of journalists in recent months." Nothing of the kind occurred. Media operate freely in Venezuela, no actions taken against Bolivarian critics - only lawbreakers. The Wall Street Journal claims 12 US citizens or permanent residents have been detained by Venezuela's government. If so, it's for lawbreaking. The Trump regime "is gravely concerned about the welfare and safety of all US persons detained in Venezuela, and by reports of Venezuelan prison officials preventing attorneys and families of detained US citizens from delivering food and denying routine communication." Reportedly six are former CITGO officials charged with corruption. Maduro earlier said "(t)hese people were born in Venezuela. They're Venezuelans and they'll be tried for corruption, for being thieves and traitors against the fatherland." They're accused of involvement in a fraudulent $4 billion financing scheme with US and Dubai, UAE investment firms. Trump regime concerns about the welfare of its nationals or ordinary people everywhere is laughable. It flies in the face of its world's largest global gulag prison system, torture a commonplace practice, Blacks, Latinos, and Muslims from the wrong countries grievously abused. Venezuela is democratically governed, adherence to rule of law principles observed - polar opposite how the US operates under both right wings of its duopoly rule. Its wars of aggression, color revolutions, and old-fashioned coups like what's ongoing in Venezuela reveal its contempt for democratic values and the rule of law - notions reviled in Washington. Bolivarian Republic democracy is the real thing. In the US, it's pure fantasy.